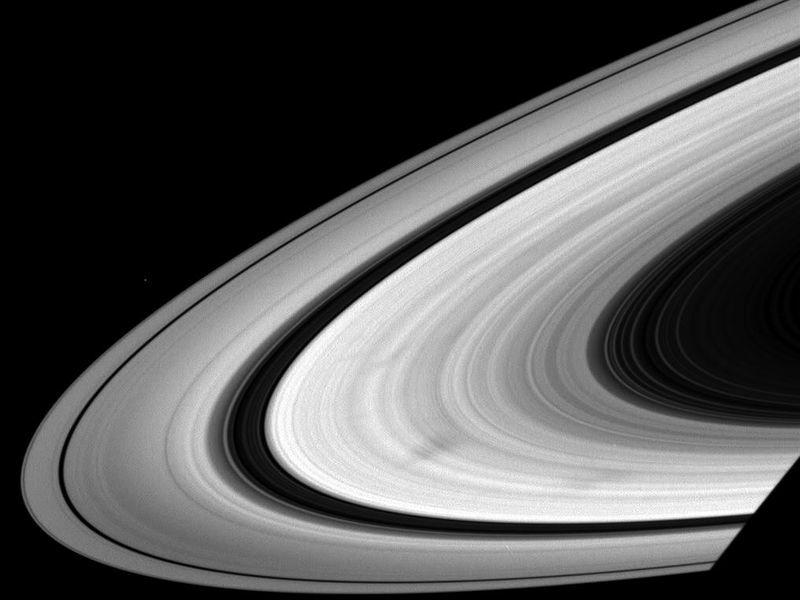 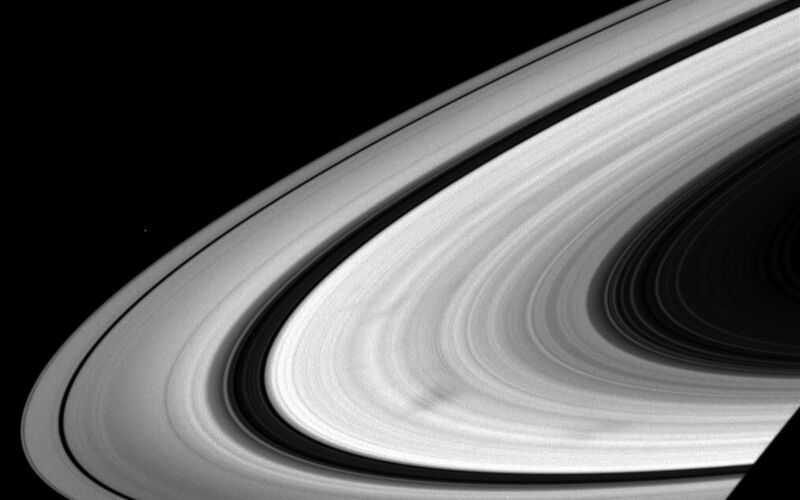 This view looks toward the sunlit side of the rings from about 11 degrees below the ringplane. 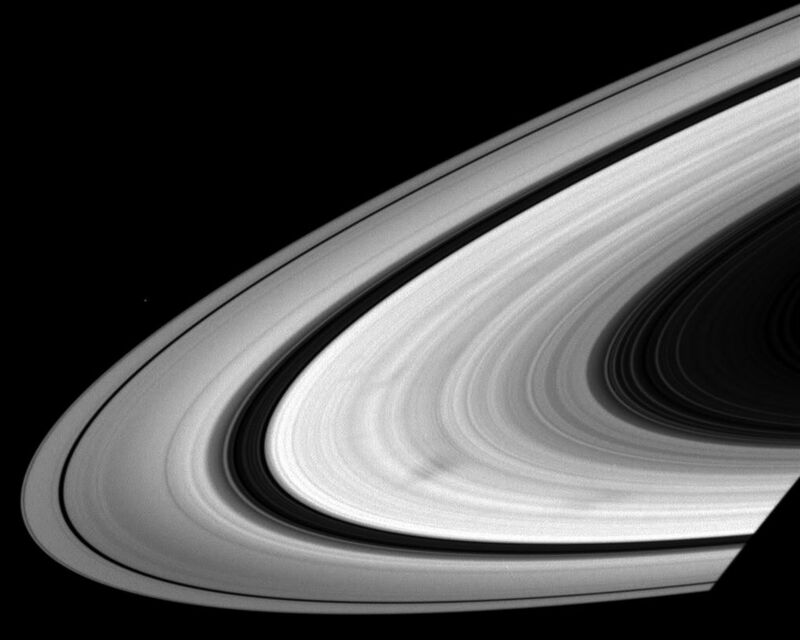 Pandora (81 kilometers, or 50 miles across) is a speck above the rings at left. 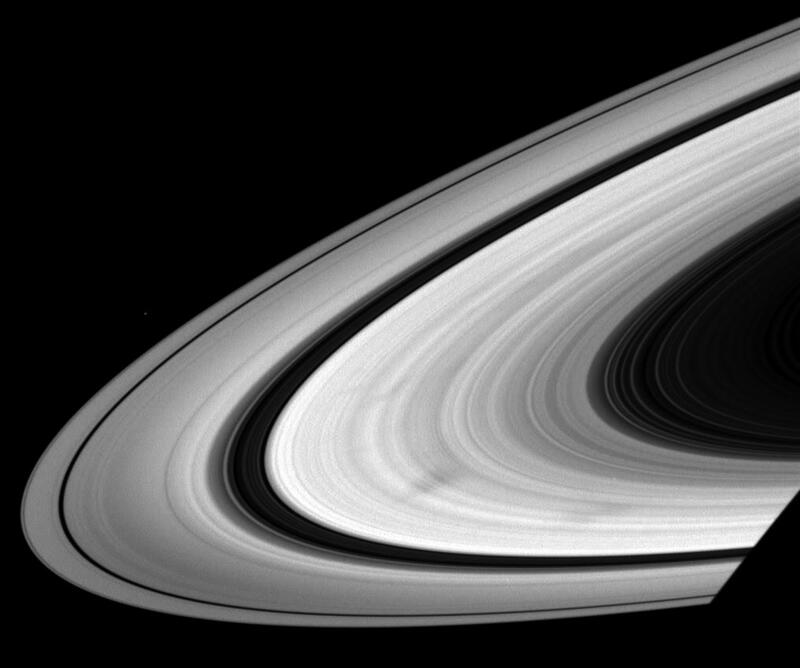 The planet's shadow darkens the ringplane at lower right.